Meet Shyam, the owner of Shyam Kirana Stores. He has been in the business for more than 20 years, constantly growing his business and increasing his sales moderately. But the advent of movements like Digital India, elimination of cash and other redundant form of payments led his business on the verge of collapsing. Cash, which was his best friend, became a bitter enemy. Shyam has been undergoing business, using primitive cash centric methods from a very long time. He says that understanding these newer digital payments acceptance methods are very difficult for him and he would rather stick to cash. But he realizes that his business can simply not thrive on this. While looking for a perfect digital payment provider, he is acquainted with mGalla- Payment App for Merchants. mGalla is a digital payment acceptance application which enables merchants to accept digital form of payments. mGalla provides a host of digital payment options like UPI, Bharat QR, Link Based and mPOS. It doesn’t only allow Shyam to accept payments but also maintains a record of the payments pending and received. Signing Up with mGalla is a cake walk. As soon as Shyam completed the registration process, he started accepting digital payments. The amount gets settled in his existing bank account. How to use mGalla- Payment App ? Shyam’s sales are through the roof now that he has opened his business towards accepting digital payments through mGalla. 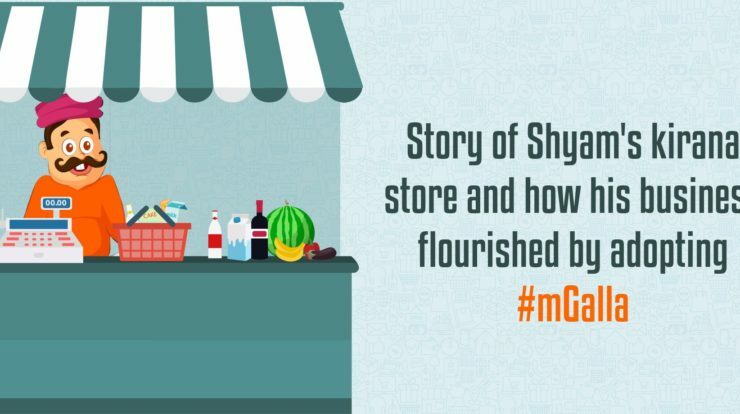 mGalla’s simple and user friendly interface is what has made accepting digital payments a hassle free task for smaller merchants like Shyam.